No matter what recreational activity you choose to follow, if you are moving with intensity, training with volume, and pursuing this activity for months & years, minor tweaks and injuries are inevitable. CrossFit is no exception to this. Injuries happen with CrossFit, just as they do with powerlifting, weightlifting, bodybuilding, running, and any organized sport. Yet, there is still a widely held belief that CrossFit is itself a more dangerous activity. 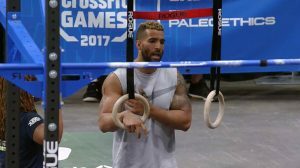 What Does The Research Say About CrossFit Injury Rates? Three recent research studies examined the number of injuries that occurred in CrossFit athletes per 1,000 training hours (Moran 2017, Hak 2013, Montalvo 2017). 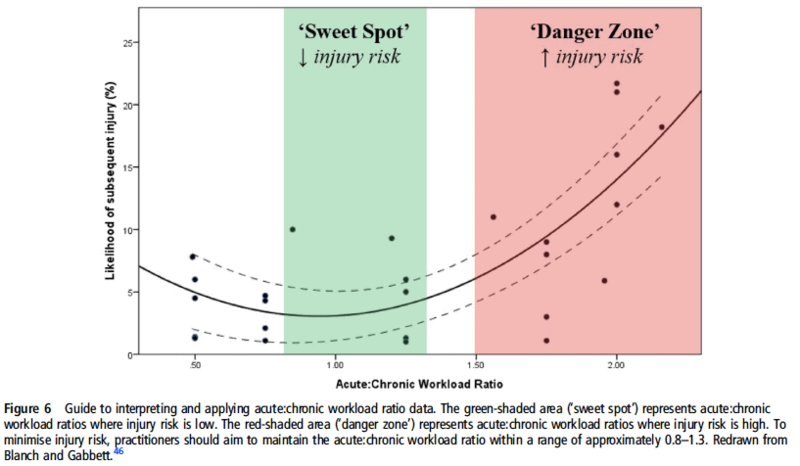 These three studies found between 2.1 and 3.1 injuries per 1,000 training hours. Strength and Conditioning Research put together this great review of injury rates in various strength sports which supports the above statements. To take this a step further, I have NEVER heard athletes, coaches, or rehab professionals saying that running is unsafe or advocating for running to be abolished as I sometimes hear them say in relation to CrossFit injury rates. But the injury rates for runners has been reported to be between 2.5 to 12.1 per 1,000 training hours (van Mechelen 1992). And according to a 2012 USA Triathlon report, triathlons see one DEATH per 76,000 participants. Yes DEATHS. I’ve yet to see a death from CrossFit but I don’t hear medical providers screaming that triathlons are horrible. 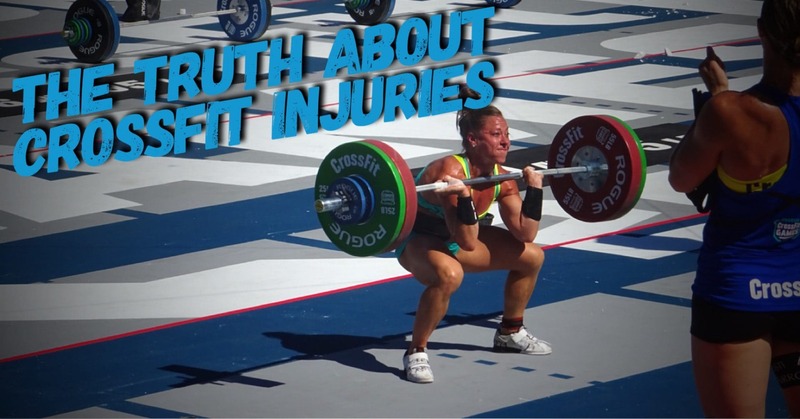 Why Do CrossFit Injuries Occur? As I mentioned at the start of this article, anytime an athlete pursues a recreational activity with intensity & volume, injuries are possible. And CrossFit injuries are no exception. The Montalvo 2017 that found 2.3 per 1,000 training hours also looked more closely at the participants to help gain an understanding of why CrossFit injuries occur. First, they found that athletes with higher body mass were more likely to experience injuries. Second, they found that competitors were more likely to have injuries. This makes sense given that competitors are likely to train at higher intensities, higher volumes, and higher level skills. Finally, they concluded that those who trained more hours were also more likely to experience a CrossFit injury. I’ve discussed training volume in the past and its importance in optimal performance and minimizing injury rates. And I believe that volume is the MOST IMPORTANT factor in preventing injuries. Let’s review this more, specific to CrossFit. A large body of research by Tim Gabbett has shown that acute spikes in training volume significantly increases injury risk. In my article on training volume I dive deeper into this, but this can be something as simple as starting a squat cycle to supplement your CrossFit and acutely increasing the volume of lower body work you are doing. Another frequent example I see is calf/ankle pain in athletes when they are working on learning a new skills such as double-under by performing these daily in their warm up. This does not mean that they will be performing optimally at that volume, in fact this volume may prevent gains in muscle mass, strength, skill acquisition. It is simply the most volume they can still recover from. 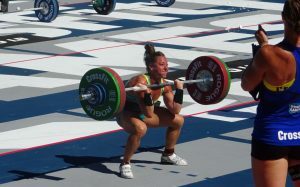 In the CrossFit world, I consistently believe that many athletes train above their maximal recoverable volume. And while they may progress and hold up for a period of time, eventually this volume catches up them in the form of a CrossFit injury. Something we discuss at length in my course “Advanced Concepts in the Clinical Management of the Fitness Athlete” is the amount of volume most boxes program compared to the volume that is suggested in the CrossFit Level One Seminar. In the CFL-1 most workouts are taught to be composed of a single strength/skill element OR a metabolic conditioning workout. With a 2 days on, 1 day off schedule OR a 5 on, 2 off weekly schedule. In contrast to that, most gyms program a strength AND a conditioning workout each day, 6 days per week. The weekly volume that most gyms program is significantly higher than what CrossFit HQ suggests and I believe often puts athletes exceeding their maximal recoverable volume. With proper coaching, volume and progressions I believe we can minimize CrossFit injury rates. Now, before I end I must note that there are several other factors that can lead to CrossFit injuries (and any strength and conditioning pursuit), BUT I am focusing on these much less because compared to training volume, they are less important and discussed much more frequently. These factors include technique errors, lacking muscle strength and endurance, muscle imbalances, and mobility restrictions (side note this is much more rare than CrossFitters believe). I personally believe that it isn’t until considerable volume & intensity is added to these factors that they become injuries. With physical therapists promoting ourselves as the “movement specialists” it is crucial that we understand how to progressively load our patients in a functional approach. Therapeutic exercise is such a foundational aspect but often results in under loading of patients because typically the heaviest piece of equipment in the gym is elastic tubing and light dumbbells. In the following you will find the Top 10 pieces of strength equipment for the modern PT practice and examples of exercise selection based on clinical reasoning.